Here's one you'll definitely want to try this weekend! 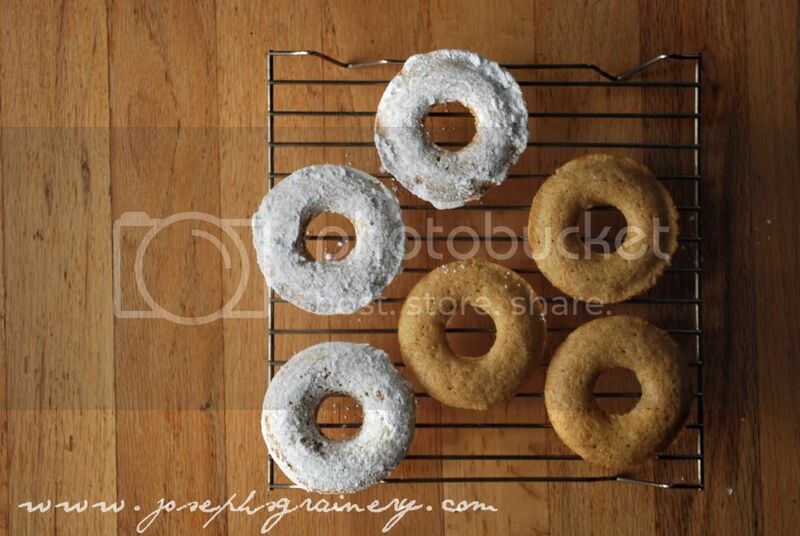 These Whole Wheat Powdered Sugar Donuts are perfect for a Saturday morning. It's exactly what I'll be asking MaMa to make us tomorrow morning. 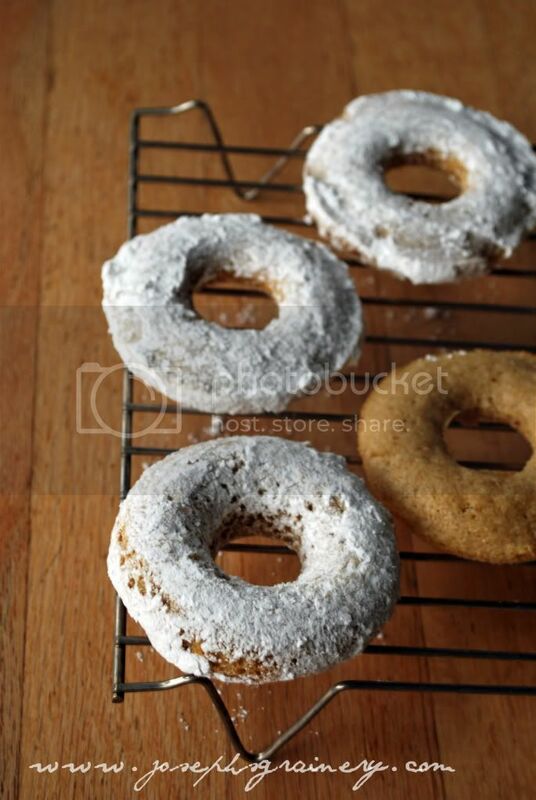 Whole Wheat Powdered Sugar Donuts - yum! Directions: Preheat oven to 350F. Lightly grease a donut pan with cooking spray. MaMa loves her Wilton Nonstick Donut Pan ! In a large bowl, beat together sugar and egg until light in color. Gradually add to this the flours, baking powder, salt and nutmeg and stir to combine. Pour in vegetable oil, buttermilk and vanilla extract, stir to combine. Pour the batter into a large ziploc bag, as you would a piping bag. 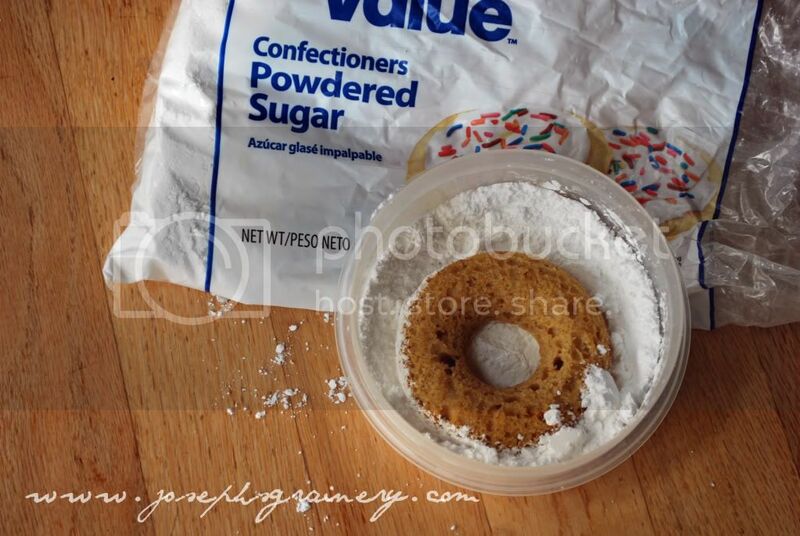 Cut just the tip off of one corner of the bag and "pipe" the batter into the rings of the donut pan . Only fill each donut "ring" about 2/3rd full. Bake for about 8 minutes, until they spring back when lightly touched. Let cool for about 5 minutes before removing from the pan. When cool to the touch, "roll" the donuts in the powdered sugar to coat. Enjoy with a large glass of milk or as MaMa likes them, with a steaming cup of coffee.